A pan-Canadian discussion on the interplay between ecosystem biodiversity, plant and animal contaminants, and the role they play in Indigenous food security in mountain places. Moderated by the University of Alberta's Roger Epp, Director of UAlberta North, researchers and community leaders from across Canada will offer their insight and discuss the issues surrounding Indigenous Peoples' food security in Canada's mountains. Roger Epp is Director of UAlberta North, which was established in 2015 to bring fresh energy, institutional priority, and effective coordination to the University's work in the Canadian and circumpolar North. A professor of political science, he has served in a number of senior leadership positions, including Dean and Deputy Provost. He is author of We Are All Treaty People: Prairie Essays (2008) and Only Leave a Trace: Meditations (2017), and is contributing co-editor of several volumes, including Writing Off the Rural West (2001). of Alberta. Robyn has extensive land-based experience; she is striving to learn and practice her Dene culture. She is currently working on a moosehide that she would like to be completed by Summer of 2018. William Shotyk received his B.Sc. (Agr.) in Soil Science and Chemistry from the University of Guelph and a Ph.D. in Geology from the University of Western Ontario. Following postdoctoral research at the University of California, Riverside and UWO, he worked at the University of Berne in Switzerland where he completed a Habilitation in Geochemistry, in 1995.. He became Professor at the University of Heidelberg in Germany, and Director of the Institute of Environmental Geochemistry, in October of 2000. He joined the Department of Renewable Resources at the University of Alberta in October of 2011, as the Bocock Chair in Agriculture and the Environment. He has published more than 200 articles and in 2013 was awarded the Philippe Duchaufour Medal for Soil System Science by the European Geoscience Union. He is the founder and President of the Elmvale Foundation, a federally registered charity for environmental education which hosts the annual Elmvale Water Festival (www.elmvale.org). Over the past 40 years, with the help of family and friends, he has planted 25,000 trees (more than 50 species) on his family farm property near Elmvale, Ontario. Jim Schieck is the ABMI's Science co-Director. Concurrently, he holds the position of Research Scientist at Alberta Innovates Technology Futures-an ABMI partner, and is an adjunct professor at the University of Alberta. He has published more than 30 papers in scientific journals, helped to organize more than 20 workshops, and produced more than 100 client reports. Joining the CMN team in January 2018, Norma Kassi was raised and educated in Old Crow, Yukon; She is Vuntut Gwitchin (People of the Lakes) and a member of the Wolf Clan. In 1985, she was elected into Yukon’s Legislative Assembly as Member for Vuntut Gwitchin, a position she held until 1992. During this time, she was selected by the Elders of the Gwitchin Nation to act as a spokesperson on behalf of the Gwitchin people for the preservation of the Porcupine Caribou Herd. 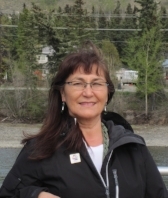 From 1995 to 1998, due to concern of contaminants in traditional foods, she was the Environmental Manager for the Council of Yukon First Nations (CYFN). Norma co-founded Arctic Institute of Community-Based Research and, following a break to serve as the elected Chief of Vuntut Gwitchin in November 2010, serves as Director of Indigenous Collaboration. Please register for this event here. Tickets are free.